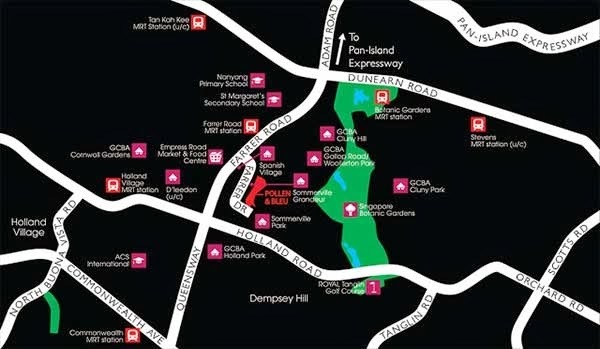 New Launch Pollen & Bleu in District 10 courtesy of Singland Development Pte Ltd carries a contemporary condominium proudly established along Farrer Drive District 10. this kind of project offers a total land area of about 67, 471 sq. feet along with the site area of 6, 268 square meter and 10, 030 square meters allowable gross floor area and stalls at eight storey building. This project holds 99-yearsleasehold tenure where modern look and state-of-the-arts facilities attempt to grasp you and your family. Have a look at http://www.newlaunchmummy.com for Floor Plans / Location Map or ring the marketing team at 9111 7508 for concerns.